Oliver Wagner, who owned Tick-TS AS (creater of Trading Software) together with Matthias Hocke has passed away. The German site finanzen.net can report this, but they didnt’t mentioned or knew that Oliver Wagner was also responsible for one of Worlds best irc clients that even X-Chat have been inspired from. The IRC client name is AmIRC. A featured packed IRC client that is available for AmigaOS 4.x, MorphOS, AROS and Classic AmigOS 68k without any costs at www.amirc.org. AmIRC is the famous IRC client, created by Oliver Wagner and Jamie van den Berge for VaporWare. He even let people port it to MorphOS also with the permission from the VaporWare team. AmIRC is an IRC client, that let’s you communicate with the entire world thru the IRC servers that stands for Internet Relay Chat. IRC was at it highest popularity, just before Microsoft released their MSN chat client. The userbase have been declining ever since, but IRC seems to be going strong now in 2016. Especially the Freenode IRC servers got many active users. Here you can get help in many developing communities. One example is WordPress. If you are stuck, go ahead and join the #WordPress irc channel on Freenode. Or if you have questions regarding CSS or HTML? Then this server is a great choice for you if your stuck. Seems like Oliver Wagner had some feets within the German financial world. But for most Amiga users worldwide, he was known for creating AmIRC. 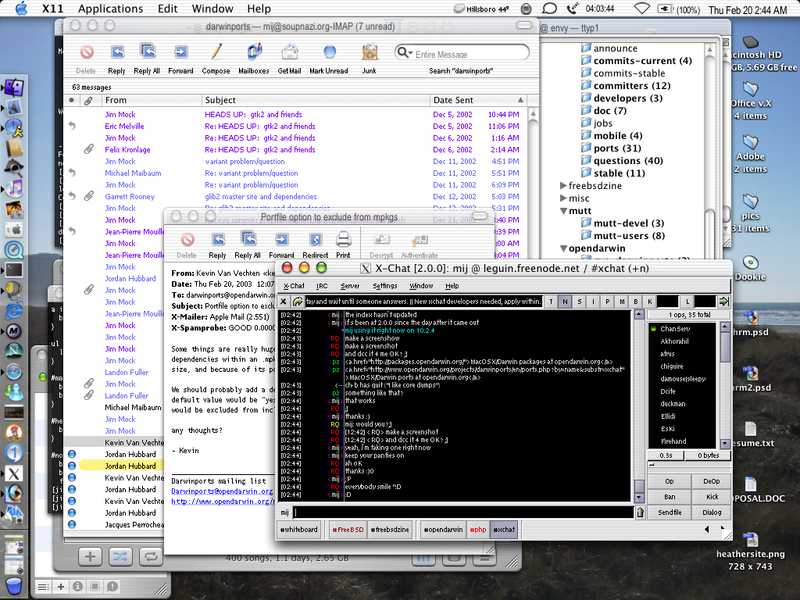 This client have inspired other irc clients like X-Chat for MacOSX, Windows and various Linux distributions. The typical layout of AmIRC is to have the conversation part on the left side, while all the nicks listed in a smaller part on the top tight side. Under it, there you have choices for different commands. At the bottom of the window, AmIRC got the chat line, where you write your words. X-Chat author have made it clear that their design had lots of inspiration from AmIRC. Other irc clients that is available for various platforms is Wookiechat, mIRC, VIRC and many more. Distrita sends all love to Oliver Wagner’s family. He will be remembered and he has done a great job by making me and many other Amiga users proud of having an application that really stands out from the rest. Rest in peace and I will never forget what you have done for our small but important community. The Pirate Bay Movie trailer Out Now!